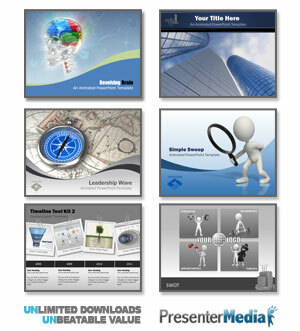 MORE Tutorials and Tips and Tricks..
You can find hundreds of free PowerPoint templates and backgrounds here at Brainy Betty, but we have so much more: we have animations, music for presentations, royalty free photos, tutorials, flash and video introductions, teacher resources and backgrounds for presentations to name just a few. Over 92 million unique visitors since 2000!! !